A classic, best-selling pre Regency romance! For fans of Georgette Heyer, Mary Balogh, Jane Aiken Hodge and Jane Austen. Alethea Newnham is a young woman with decided literary tastes, to the extent that she is called a Bluestocking by the gossips of Town. Educated in the country by her scholarly father and raised as an equal with her brothers, Alethea finds it difficult to play romantic games when she is invited to her aunt’s house in London. In particular, she despises the dashing and notorious Sir James ‘Beau’ Devenish – a young man overly concerned with the latest fashions, and toying with female affections. With her aunt determined to see her wed, Alethea finds herself forced into company. Is Beau determined to make her his next conquest? Can she rebuff his supposedly irresistible charms? Will this Bluestocking be ruled by her head … or her heart? 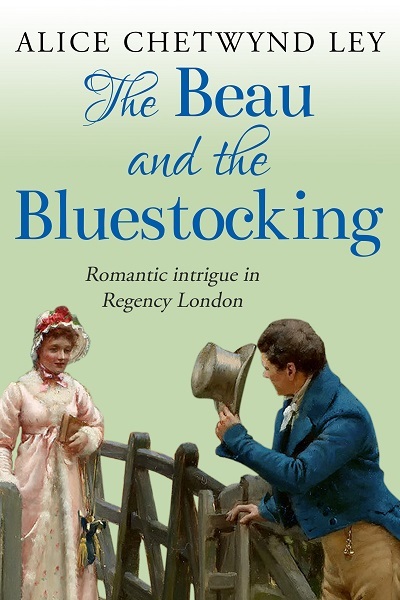 The Beau and the Bluestocking is a classic historical novel by Alice Chetwynd Ley.